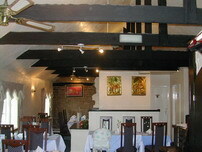 Here at Bengal Cottage it is our philosophy to make your visit an enjoyable experience. The Design and Decor have been put together by our concept creators to give a rich and welcoming feel, our staff are friendly and attentive. It is our aim to ensure that your visit will make a lasting impression. With our new menu we have modernised Indian Cuisine taking it to its next level yet keeping its authentic flavours but approached in a contemporary manner, with different accents from around the world added to the dishes making your visit a unique and an enjoyable experience.